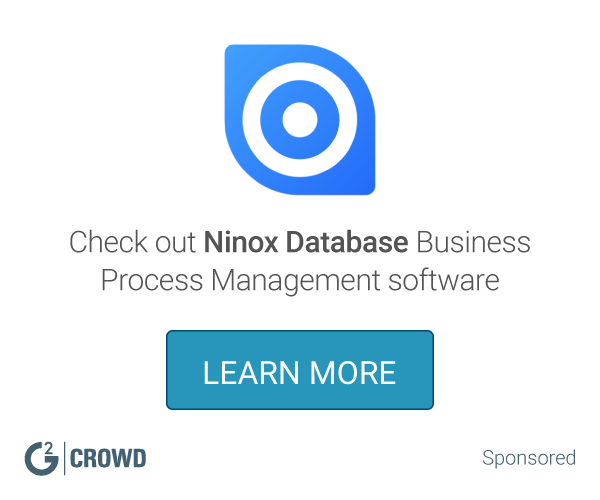 The Industry's Most Complete and Unified BPM Solution A complete solution for all types of processes that provides a unified process foundation, user-centric design, and social BPM interaction. Reduces complexity and risk and increases business efficiency and visibility. "Evaluation for Oracle Business Process Management"
-BPM Studio (used for modelling, design and some analysis). -BPM Enterprise (used for execution). -BPM Workspace (used for interaction, monitoring and control and analysis). Most programming languages for implementing services and applications supported. User interfaces can be generated automatically. We tried to model the entire business process using business rules, but we did not found a way to achieve this, resulting impossible, since business rules cannot be linked to each other in the Oracle BPM Suite. Technical monitoring and control is done using a product outside the BPM suite. It has all you need for your organization. Scale from simple to complex process al in one solution. The benefits we found for our business is that this tools aim to follow industry standards for employees who do the modelling, interaction, monitoring and control, and at the technical users who take care of the design, execution and analysis for each process that haves an impact in how things are made. We have used Oracle BPM Studio for the modelling phase. "Oracle BPM makes my job easier"
Prior to utilizing Oracle BPM, I used a company-created platform that required very manual processes. Oracle BPM allows me to perform my job quicker and more efficiently so that my team can focus on higher level tasks, knowing that the rest is mostly automated now. There is nothing that I dislike. Everything functions significantly better than our previous software, so I can't say enough good things about Oracle BPM. I would highly suggest working with the Oracle BPM support team when implementing this product because it is amazing how many processes are able to be automated when using this tool. Prior to utilizing Oracle BPM, I used a company-created platform that required very manual processes. I had to individually process each request in the system. It was slow, glitchy, and took way too much time to handle requests, especially when we were busy - because the busier we were, the more requests we had, meaning the more time it took us to process through each individual request in our previous tool. Since moving to Oracle BPM we have been able to automate the vast majority of our tasks which has increased productivity tenfold. I cannot recommend this product enough. The ability to model the business process decouple from the implementation is something that the tool has very well implemented. This tool can have a short development time if you know already what buttons you have to click (almost if you are an expert). The webforms were a good addition, but only for POC as soon as you have complex requirements they have to be changed to the ADF implementation . The simulation is good enough to see if you have any basic problem in your model. And if you have to integrate the process with other system, having the Oracle SOA structure is plus. The administration using the EM is good enough, you can trace and check what happened very easily. The ADF pages to implement the human tasks is one of the weakest points of the app. If you don't have the expertise to deal with the framework, it can give you a lot of pain develop with it. The web console to create processes is not good. I was not able to use it. You always end in the Jdeveloper. It doesn't matter if you are a business Analyst or a developer. If you want to use this product, is better to know beforehand if you can get a very good consultant to implement and develop processes. I've modeled and implemented bank processes. The main goal of this processes where the analysis of loans. "It’s okay but nothing impressive"
"Oracle Still One of the Best"
Oracle is an all encompassing system that can and is used by many companies, including the one I work for. It is easy to navigate, even as a new user, and I like the way it tracks certain processes, especially dealing with shipments, contracts, etc. There are LOTS of options available in this system, so finding what you need can be time-consuming. This system is not only popular, it has all the details needed for almost any type of business. As a user I find it easy to navigate and find it useful for specific job functions such as tracking contracts and bills. How to pay bills and and contracts and how to submit all for online tracking. "Resolve the performance issues with BPM monitoring solution." It delivers real-time results via Business Activity Monitoring, supports design and implementation of all process types and case management flows, and delivers a rapid ROI while enhancing your operational effectiveness. I dont find any of the features which are disliked in the BPM. Identify the performance issues with the monitoring feature. "Professional Business Process Management for your company needs!" Professional software, BPMN 2.0 standard. Intuitive interface. Oracle powered which gives you a sense of additional security. Can be hard to get use to, if you're on a old computer can be really slow to develop in and it can be really REALLY pricey, so be advised. 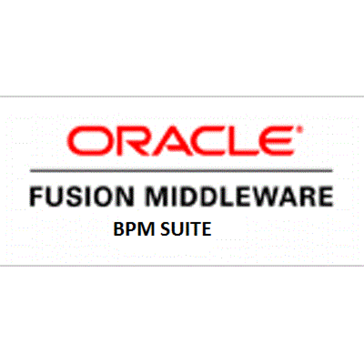 If you need a professional BPM system i highly recommend Oracle BPM. I'm developing software using process based on the BPMN 2.0 standard. "Excellent tool with awesome support"
Working in project management, Oracle BP helps me trace different processes through the lifecylcle. It is an expensive tool. However, the benefits are excellent! I am using Oracle Virtual Box over few years. And I see this is like amusing software. Easy to use also very user friendly. Need some fresh look, this software look like old soft. Very costly. I am looking all free service their. "It is a very interesting program"
Cumbersome Logic, Too Much Information which is not necessary. Business. Process monitoring, Approval Process. * We monitor all Oracle BPM reviews to prevent fraudulent reviews and keep review quality high. We do not post reviews by company employees or direct competitors. Validated reviews require the user to submit a screenshot of the product containing their user ID, in order to verify a user is an actual user of the product. Hi there! Are you looking to implement a solution like Oracle BPM?